It all starts with you because with every registration you support a person in need. - Your Spanish-speaking ability, your hopes, your dreams. When you invest in yourself through learning Spanish, you’re also creating meaningful change in the world by learning to communicate with others in Spanish. Because, with every registration you purchase, you support a person in need. You help us employ everything we’ve got: our audience, community and profits to tackle extreme poverty and inequality that’s devastating women and children worldwide. Along with our non-profit partners, we’re providing fundamental human needs (like books), access to education and dignified work for people domestically and abroad. So when you register for a class to change your life, you really are changing the world. The mission of the Food Bank Coalition is to work with a network of community partners to alleviate hunger in San Luis Obispo County and build a healthier community. The Vision of the Food Bank Coalition of San Luis Obispo County is that every person in the county has adequate access to nutritious food. in our community that promote the self- sufficiency of homeless people. The Hearst Cancer Resource Center is a one-of-a-kind resource in San Luis Obispo County for those living with cancer and their families. The goal of the center is to help persons with cancer learn about the disease, recognize opportunity for improved health, build a personal support system, and gain a sense of extended family. We are dedicated to serving cancer patients and their families: ranging from those newly diagnosed with cancer, in treatment, in recovery, and beyond. 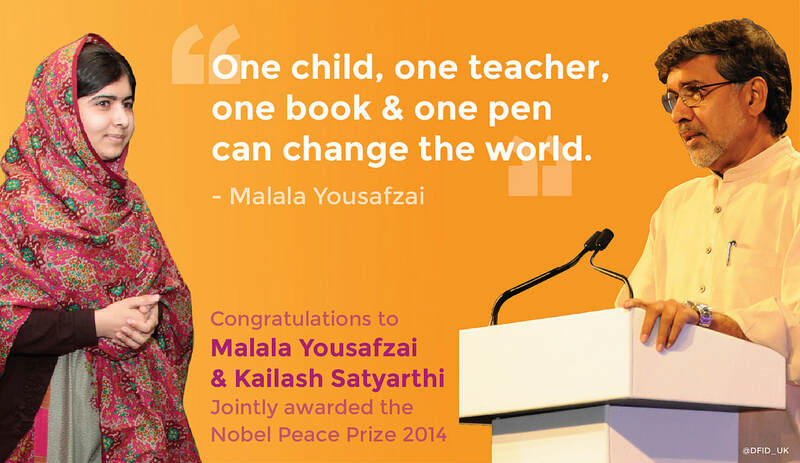 Malala Fund is working for a world where every girl can learn and lead. Malala Fund’s key initiative — the Gulmakai Network — supports the work of education champions in developing countries and speeds up progress towards girls’ secondary education around the world. With more than 130 million girls out of school today, she needs your help to reach the most vulnerable girls denied an education.